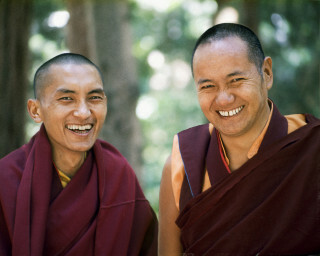 Lama Zopa Rinpoche and Lama Yeshe, Lake Arrowhead, 1975. This photo is from a three week retreat the lamas taught at Camp Arrowpines on Lake Arrowhead, east of Los Angeles, USA, 1975. Photo by Carol Royce-Wilder. FPMT provides a wealth of opportunities enabling one access to Buddhist teachings and advice. Below are a few resources.